Israel intends to draft plans for new construction — possibly as much as 2,500 homes — on a hill in the Efrat settlement next to Bethlehem. The project has been dubbed E2 by left-wing opponents who hold that it would prevent any further development of Bethlehem, whose growth is already stymied by the Jewish Jerusalem neighborhood of Har Homa. Settlers renewed their campaign for construction on that hilltop in September, after Efrat resident Ari Fuld, 45, was stabbed to death by a Palestinian terrorist. The new party launched by Bennett and Shaked would receive between six and 14 seats in the Knesset if elections were held today, according to polls released over the weekend. Jewish Home, still leaderless, would fail to cross the electoral threshold of four seats, according to two of the polls. According to one poll, thirty-six percent of respondents said they prefer Netanyahu for prime minister, while 29 percent chose Gantz. The polls further showed that Netanyahu’s Likud would win the election were it held today with 27 to 31 seats. Gantz’s party would come in second with 14 or 15 seats, two of the polls said, while the third showed Yair Lapid’s Yesh Atid finishing second with 16 seats. Zionist Union, which includes Avi Gabbay’s Labor, continued to crash in the polls, winning only eight to nine seats. Israel plans to sign an agreement with Greece and Cyprus next year for the world’s longest natural gas pipeline, known as the East Med. It would export natural gas from Israel to Europe via Greece and could cost as much as $7 billion. The agreement will be formalized next year at a tripartite sixth summit, and will also need approval from the European Commission. US Ambassador to Israel David Friedman said his country supports the project and that it was important for regional stability. A “secret” letter dated December 4, 1949, half a year after the official conclusion of the War of Independence detailed a plan “to expel the Arab residents of a large number of places” in Galilee and elsewhere in the north of the country. Its author was Walter Eytan, the first director general of Israel’s Foreign Ministry, and its addressee was Moshe Sharett, the foreign minister, who was in New York at the time. Eytan noted that the plan called for the expulsion of more than 10,000 Arabs, most of them Christians, though some were Druze (Hurfeish) or Circassians (Rihana). The expulsion was to be carried out for “security reasons.” The deportees’ destination was not specified. A U.S. move to immediately withdraw troops from Syria could ease pressure on Islamic State, potentially allowing the extremist group an opportunity to rebuild. There are about 2,000 U.S. troops in Syria, the Pentagon says, primarily in the east and southeast of the country, where they are part of an international coalition conducting airstrikes and training local fighters battling Islamic State. The U.S.-backed Syrian Democratic Forces warned Thursday that the withdrawal of U.S. troops from Syria will allow a revival of the radical Islamic State group and jeopardize the final phase of the battle against the militants. In its first statement since President Trump’s unexpected decision to end the U.S. military presence in Syria was reported Wednesday, the SDF noted that the battle against the Islamic State group is not over yet. With his decision to withdraw all U.S. forces from Syria, President Trump hands a huge New Year’s gift to President Bashar al-Assad, the Islamic State, the Kremlin and Tehran. He also guarantees the reversal of U.S. military gains there and extinguishes any leverage Secretary of State Mike Pompeo and his special envoy for Syria, James Jeffrey, may have to drive a diplomatic settlement that meets the administration’s own goals of keeping the Islamic State and Iran out. The Saudi-led coalition bombed an air base in Yemen’s rebel-held capital on Wednesday as a local cease-fire held around the Red Sea port city of Hodeida. In comments aired by Saudi state-run TV, the coalition said it struck the air base next to Sanaa’s international airport, destroying a rocket launcher and a drone that it said was preparing to carry out an attack. Oman described Israel as an accepted Middle East state on Saturday, a day after hosting a surprise visit by its prime minister that Washington said could help regional peace efforts. Oman is offering ideas to help Israel and the Palestinians to come together but is not acting as mediator, Yousuf bin Alawi bin Abdullah, the sultanate’s minister responsible for foreign affairs, told a security summit in Bahrain. “Israel is a state present in the region, and we all understand this,” bin Alawi said. 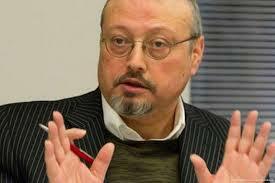 Turkey’s President Recep Tayyip Erdogan said Saudi operatives planned and conducted the murder of a Saudi journalist in Istanbul three weeks ago, challenging the kingdom’s narrative that Jamal Khashoggi died in a brawl and vowing to identify the culprits. “All the responsible people, from the lowest to the highest rank, should be uncovered and held accountable before the law,” Mr. Erdogan said in an address to lawmakers from his ruling party Tuesday. The United Nations General Assembly voted on Tuesday in favor of appointing Palestine as head of the group of 77, a coalition of developing nations at the U.N., in a move that allows it to act more like a full U.N. member state during meetings in 2019. While 146 counties voted in favor, only three — Israel, the U.S. and Australia — voted against. 15 countries abstained. The United States, Israel and Australia voted against the move, which won 146 votes in favor. There were 15 abstentions and 29 countries didn’t vote. “We cannot support efforts by the Palestinians to enhance their status outside of direct negotiations. The United States does not recognize that there is a Palestinian state,” U.S. Deputy U.N. Ambassador Jonathan Cohen told the General Assembly. Prime Minister Benjamin Netanyahu is expected to sign regulations extending the period of confidentiality for information in the defense archives from 70 years to 90 years. The Defense Ministry requested the extension to prevent the release this year of some materials relating to the period of the 1948 War. The draft regulations state that exposure of some of the archival materials could harm national security. The new rules contradict the recommendations of the supreme advisory council overseeing the Israel State Archives, which recommended extending the confidentiality of only some of the documents for five years. Secretary of State Mike Pompeo announced on Wednesday that the United States was pulling out of a six-decade-old treaty with Iran that had provided a basis for normalizing relations between the two countries, including diplomatic and economic exchanges. The largely symbolic move came hours after the International Court of Justice ordered the United States to ensure that a new round of American sanctions imposed against Tehran this year did not prevent food, medicine and aircraft parts from reaching Iran. German Chancellor Angela Merkel landed in Israel on Wednesday evening for a traditional bilateral cabinet consultation between the two governments. The German leader attended an official dinner at the Prime Minister’s Residence in Jerusalem and signed the guestbook. The visit takes place as the West Bank Bedouin village of Khan al-Ahmar faces imminent demolition, despite calls from Germany to block the eviction. To mark the visit, Bedouin children demonstrated with pictures of Chancellor Merkel and called for her to help stopping the demolition of the village. Saudi Arabia has put the U.S. on its shortlist of potential partners competing to build nuclear-power plants in the kingdom, while the two countries negotiate how to do a deal without spreading nuclear weapons, Energy Secretary Rick Perry said. The kingdom has been hearing offers from several countries, including Russia, South Korea and China, for what could be the biggest new market for nuclear power. President Trump said he backs a two-state solution to the Israeli-Palestinian conflict, in a shift from his previous stance, and promised to present his long-awaited peace plan in the next four months. Mr. Trump, speaking ahead of a meeting with Israel’s Prime Minister Benjamin Netanyahu, previously has said he would back either one or two states, whichever the two sides decided between themselves. Trailed by the Russia investigation, back-stabbing within his administration, looming midterm elections and Judge Brett Kavanaugh’s troubled nomination, President Trump arrived this week in New York distracted and under siege. At first blush, Mr. Trump’s second appearance at the United Nations General Assembly may have seemed like more self-congratulatory bluster, nationalist isolationism and rote genuflection to the altar of sovereignty — much like last year. But this time, Americans suffered the added humiliation of watching the world burst out laughing at their president, whose false bravado no longer induces shock but invites derision. Two insurgent groups rejected a deal reached this month between Russia and Turkey to establish a demilitarized zone in Syria’s Idlib region with one saying Sunday that the agreement aims to “bury the revolution.” The rejection by some jihadi groups of the Russia-Turkey deal highlights the problems that the agreement may face in the coming weeks, as the demilitarized zone is scheduled to be established by mid-October. It also underscores the divisions between insurgent factions as some groups backed by Turkey, such as the National Front for Liberation, have welcomed the move that averted a wide government offensive on Idlib. Senior Palestinian official Saeb Erekat said Tuesday that the full range of political, economic and security ties would be reassessed in the wake of the Trump administration’s decision on Monday to shut the Palestinian mission in Washington. US National Security Adviser John Bolton said the move was triggered by the Palestinian refusal to participate in talks with Israel. But Erekat denounced it as an act of blackmail. Prime Minister Benjamin Netanyahu said the move showed that “a refusal to negotiate and attempts to attack Israel in international forums won’t advance peace.” Bolton spent most of his speech criticizing the International Criminal Court, which he said is too harsh on Israel. President Donald Trump will chair a United Nations Security Council debate about Iran during the world body’s annual gathering of international leaders later this month, U.S. Ambassador Nikki Haley said. Mr. Trump’s Security Council appearance is scheduled for Sept. 26 when he will be in New York attending the U.N. General Assembly and meeting with world leaders. The Trump administration has decided to cancel all U.S. funding of the United Nations aid program for Palestinian refugees, part of its determination to put its money where its policy is as it seeks a recalculation of U.S. foreign aid spending and prepares its own Israeli-Palestinian peace plan. In an announcement to be made within the next several weeks, the administration plans to voice its disapproval of the way the U.N. Relief and Works Agency, or UNRWA, spends the funds and to call for a sharp reduction in the number of Palestinians recognized as refugees, dropping it from more than 5 million, including descendants, to fewer than a tenth of that number, or those still alive from when the agency was created seven decades ago, according to officials familiar with the decision. A new poll says support for a two-state solution among Israeli Jews and Palestinians is at a two-decade low. The joint poll conducted by Tel Aviv University and The Palestinian Center for Policy and Survey Research determined that just 43 percent of both sides support a vision of peace that would create a Palestinian state alongside Israel. The survey, released Monday, says the reasons for this are doubts over the possibility of implementing the plan and a lack of trust in the other side. Iranian officials reacted skeptically on Tuesday to President Donald Trump’s comments that he’s willing to negotiate with his Iranian counterpart, saying instead that if Trump wants talks, he needs to rejoin the international nuclear deal he unilaterally pulled out of earlier this year. Trump on Monday said he’d meet with Iranian President Hassan Rouhani “anytime” if the Iranian leader were willing. The Iranian leadership has previously ruled out one-on-one talks with Trump, following his decision to pull the US out of the deal under which Iran was given relief from sanctions in return for curbs on its nuclear program. President Trump threatened Iran late Sunday, warning of severe “consequences,” as rhetoric between the two countries’ presidents escalated dramatically. Mr. Trump, in an all-caps message on Twitter addressed to President Hassan Rouhani of Iran, wrote that the country would face “CONSEQUENCES THE LIKES OF WHICH FEW THROUGHOUT HISTORY HAVE EVER SUFFERED” if he continued to threaten the United States. Hundreds of Syrian emergency rescuers and their families were evacuated from the country’s southwest with Israel’s help, passing through territory it controls to Jordan as the regime of President Bashar al-Assad takes control of one of the last remaining opposition strongholds. After President Donald Trump’s withdrawal in May from the multinational agreement that checked Iran’s nuclear program in return for lifting sanctions, Mr. Rouhani’s bridge to the West is in danger of collapsing while a flailing economy has triggered protests. Banks and investors are heading for the exits. Mr. Rouhani’s 2013 election had ushered in hope among his supporters of shedding Iran’s status as international pariah. Mr. Rouhani had staved off pressure from political forces opposed to diplomatic outreach — until now. Palestinian Authority President Mahmoud Abbas said Sunday that he will continue paying stipends to Palestinian attackers and their families despite the Israeli parliament’s decision last week to withhold hundreds of millions in funds from taxes collected on the Palestinian Authority’s behalf. Abbas defiantly told a meeting of Fatah party leaders that the Palestinian government would pay “our martyrs and prisoners and wounded people” as it had since 1965. Pope Francis led a summit of Christian leaders on how to promote peace in the Middle East on Saturday and said building walls, occupying territories and religious fanaticism would not resolve conflict in the region. Francis also repeated his view that the “status quo” of the contested city of Jerusalem should be respected, and backed a two-state solution to the Israeli-Palestinian dispute. President Donald Trump lashed out at OPEC with a warning to stop manipulating oil markets and piled pressure on close U.S. allies in an interview that aired on Sunday with a threat to sanction European companies that do business with Iran. The president, in an interview with Fox News’ “Sunday Morning Futures with Maria Bartiromo,” also said he would not complete a new NAFTA trade deal with Canada and Mexico until after the November congressional elections. Number of displaced in southern Syria climbs to 270,000: U.N. The number of people forced to flee their homes in southwestern Syria as a result of the two week escalation in fighting has climbed to 270,000 people, the U.N. refugee spokesman in Jordan said. The United Nations said last week 160,000 had been displaced as they fled heavy bombardment and mostly took shelter in villages and areas near the Israeli and Jordanian borders. Jordan will hold talks with Russia this week over a ceasefire in southwestern Syria and alleviating the humanitarian situation there, the Jordanian foreign minister said on Monday. Ayman Safadi, speaking in Amman, said he would travel on Tuesday to Moscow to meet his Russian counterpart Sergei Lavrov. The Russian-backed Syrian government has launched a major campaign to recover southwestern Syria from rebels. THE CHRISTIAN SCIENCE MONITOR • ANDREW TORCHIAIran is banning imports of over 1,300 products, preparing its economy to resist threatened U.S. sanctions, amid rare public protests against the plunge of its currency to record lows. Police patrolled the Grand Bazaar in Tehran, Iran, on Monday as security forces struggled to restore normality after clashes with protesters angered by the collapse of the country’s currency, the Iranian rial, which is disrupting business by driving up the cost of imports, witnesses said. Japan and South Korea, two major buyers of Iranian oil, are in talks with the U.S. government in a bid to avoid adverse impacts from Washington’s reimposition of sanctions aimed at cutting Iran out of international markets. The United States is demanding countries cut all imports of Iranian oil from November, a senior State Department official said on Tuesday as the Trump administration ramps up pressure on allies to cut off funding to Iran. Talks with the United States over how to reform the main U.N. rights body have failed to meet Washington’s demands, activists and diplomats say, suggesting that the Trump administration will quit the Geneva forum whose session opens on Monday. A U.S. source, speaking on condition of anonymity, told Reuters the withdrawal appeared to be “imminent” but had no details. Diplomatic sources said it was not a question of if but of when the United States retreats from the Human Rights Council, which is holding a three-week session through July 6. Lebanese Prime Minister Saad Hariri criticized a top Iranian general Monday for comments he reportedly made recently in which he praised Iran-backed groups for making gains in last month’s parliamentary elections. The Iran-backed Hezbollah and its allies gained more than half the seats of the 128-member parliament in the May 6 parliamentary elections. Lebanese media aired a video posted on social media showing Gen. Qassem Soleimani, the head of Iran’s elite fighting Quds Force, saying that Hezbollah’s victory came at a time when some Arab countries labeled it and its leaders as terrorists. Qatar said Monday it filed a case against the United Arab Emirates at the United Nations’ highest court, accusing Abu Dhabi of “discrimination against Qatar and Qatari citizens” amid a yearlong boycott of Doha by four Arab nations. An Emirati minister dismissed the filing as a stunt. The case before The Hague-based International Court of Justice focuses on the UAE’s decision to expel Qatari citizens, block Qatar from accessing its airspace and other matters arising as part of an ongoing diplomatic dispute, Doha said in a statement. Palestinians are sending kites dangling coal embers or burning rags across the Gaza border to set fire to farmland and forests, in a new tactic that an Israeli minister said should be countered with “targeted assassinations”. At least 120 Palestinians have been killed by Israeli troops during mass demonstrations along the Gaza border since March 30 and the men sending the kites over the fence believe they have found an effective new weapon. Three European countries and the European Union are seeking exemptions from U.S. sanctions on Iran in a sign that the bloc’s bid to hold the landmark nuclear deal together may be in trouble. “As allies, we expect that the U.S. will refrain from taking action to harm Europe’s security interests,” the three countries and the EU said in a letter to the U.S. administration. In it, they argued that the agreement with Iran remains the best way to prevent a nuclear-armed Iran and that the 2015 accord can only survive if Tehran receives economic benefits in return. Iran has informed the U.N. nuclear watchdog that it will increase its nuclear enrichment capacity within the limits set by the 2015 agreement with world powers. The modest steps announced Tuesday appeared to be mainly aimed at signaling that Iran could resume its drive toward industrial-scale enrichment if the nuclear accord comes unraveled. Behrouz Kamalvandi, the spokesman for Iran’s nuclear agency, was quoted by state TV as saying a letter was submitted to the International Atomic Energy Agency detailing the move. Turkey and the United States on Monday endorsed a roadmap for the northern Syrian city of Manbij and underlined their mutual commitment to its implementation following a meeting of their foreign ministers in Washington, according to a joint statement. The move, long sought by Turkey, comes at a time of strain in bilateral ties over wider Syria policy and over Washington’s decision in December to move its embassy in Israel to Jerusalem. New ideas proposed in U.S. back-channel mediation of an Israeli-Lebanese maritime dispute over oil and gas exploration in the eastern Mediterranean raise the prospect of a partial deal this year, Israel’s energy minister said. Israel kicked off a gas bonanza in the eastern Mediterranean almost a decade ago with the discovery of two huge gas fields. Others were found in Egypt and Cyprus, and companies are now exploring Lebanese waters as well. 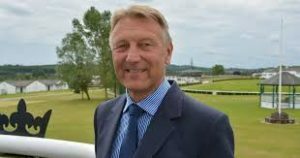 It is with great sadness that I share the news that our friend and colleague, Her Majesty’s Lord-Lieutenant for North Yorkshire, Barry Dodd CBE, tragically lost his life yesterday. Barry has provided unwavering support to the University since he joined as Chair of the University’s Council in April 2013. His passion, commitment and guidance has been unrivalled. Barry has overseen the direction of the University, including our evolution both physically, in the transformation of our campus, as well as shaping the way we work with others to form valuable partnerships and create new opportunities. We will sorely miss his desire to make a difference, for both staff and students, and to see the University flourish, along with his warmth and enthusiasm. I know this loss will be felt greatly throughout the University. Our deepest condolences are with Barry’s family and friends at this difficult time. Syrian President Bashar Assad on Thursday denied the presence in his country of any Iranian troops. Much of Iran’s infrastructure in Syria has been set up on Syrian military bases, Israel says, and the IDF has frequently hit Syrian air defenses during strikes on Iranian targets. Earlier this month, the Israeli Air Force carried out its biggest operation in Syria in 40 years when it attacked more than 50 Iranian targets in response to an Iranian rocket barrage at the Golan Heights, amid warnings from Jerusalem that it would not tolerate Tehran’s attempts to entrench itself militarily on Israel’s northern border. Three weeks ago, the first F-35A stealth fighter – carrying a small Turkish flag on its tail – took off from Fort Worth, Texas. On June 21, it will officially be handed over to the Turkish Air Force, whose pilots will begin training on it, with further aircraft set to roll off the production line at the Eglin air base in Florida. In a few months, the first two F-35s are scheduled to fly to Turkey, where they will be based at Malatya in eastern Turkey, ready to undertake missions against Kurdish forces in Syria. Paraguay opened its embassy in Jerusalem, following the United States and Guatemala. In the Trump era, President Horacio Cartes became to be a close friend of Israel. The European Union started to activate measures to preserve the Iran nuclear agreement and to protect EU companies operating in the country, as the bloc reiterated support for the landmark deal after President Donald Trump’s decision to withdraw from it. The European Commission, the EU’s executive arm in Brussels, began putting a so-called blocking statute in place to shield European companies doing business with Iran from U.S. sanctions. It’s the first time in more than two decades that the measure is being invoked. The Trump administration is aiming to roll out its much-hyped but long-delayed Middle East peace plan next month amid signs it may further alienate the Palestinians by slashing millions of dollars in funding for humanitarian and development projects in the West Bank and Gaza. Five U.S. officials and a congressional aide say the administration intends to release the peace plan in mid- to late-June, shortly after the end of the Muslim holy month of Ramadan, although they cautioned that the timing could slip depending on developments in the region. Iraq’s Muqtada al-Sadr, the maverick Shiite cleric whose political coalition beat out Iran’s favored candidates to come in first in national elections, says he wants to form a government that puts Iraqis first. The electoral commission announced that the militant-turned-populist preacher, who has long spoken out against both Iranian and U.S. influence in Iraq, had defeated his establishment rivals. Both Washington’s European allies and Tehran pledged on Tuesday to uphold the 2015 Iran nuclear deal despite President Donald Trump’s decision to pull the United States out and reimpose sanctions. European leaders decried Trump’s decision to withdraw from the deal, which had lifted sanctions against Iran in return for curbs on its nuclear program. They called on Washington not to take steps that would prevent other countries from upholding it. Iran’s President Hassan Rouhani said Tehran aimed to continue to comply with the deal’s terms, and would swiftly reach out to the its other signatories — Britain, France, Germany, Russia and China — to keep it in place. REUTERSPresident Donald Trump will announce on Tuesday whether he will withdraw from the Iran nuclear deal and a senior U.S. official said it was unclear if efforts by European allies to address Trump’s concerns would be enough to save the pact. Trump has repeatedly threatened to withdraw from the deal, which eased economic sanctions on Iran in exchange for Tehran limiting its nuclear program, unless France, Germany and Britain — which also signed the agreement — fix what he has called its flaws. THE ASSOCIATED PRESSThe Iran-backed Hezbollah group and its political allies made significant gains in Sunday’s parliamentary elections in Lebanon while the main Western-backed faction lost a third of its seats, according to preliminary results released Monday. Meanwhile, Lebanese Prime Minister Saad Hariri has said that his Future Movement bloc lost a third of its seats in parliament in Sunday’s elections. The initial results, which were carried by Lebanese media and are more or less expected to match the official count, show that Hariri, a Sunni politician with close ties to Saudi Arabia, has lost at least five seats in Beirut, once considered his party’s stronghold. President Trump has made containing Iran’s regional ambitions a cornerstone of his foreign policy, and by that measure Sunday’s election in Lebanon is a setback. Not that anyone in Washington seems to have noticed. Preliminary results indicate that Iran’s proxy Hezbollah and its allies won more than half the seats in Lebanon’s 128-seat parliament, consolidating the Shiite militia’s political grip on the country. Thanks to Lebanon’s sectarian political system, Prime Minister Saad Hariri, a Sunni, will likely keep his job, but his clout will be considerably weakened given the clobbering his Future Movement took at the polls. The unexpected results of the parliamentary elections in Lebanon can make Hezbollah very happy. A preliminary calculation indicates that the Shi’ite movements, Hezbollah and Amal, together with their partner, the Christian Free Patriotic Movement, have together garnered 67 of the 128 seats. If this is indeed the final number, Hezbollah Secretary-General Hassan Nasrallah can chalk up a significant political achievement. That is because despite public protests against his participation in the war in Syria and Lebanon’s involvement in a war not its own. The Jerusalem Post reported that the Trump administration will ask Israel to withdraw from four Arab neighborhoods in east Jerusalem, which will likely become the capital of a future Palestinian state. The transfer of control over the neighborhoods – Jebl Mukabar, Isawiya, Shuafat and Abu Dis – was presented to Minister of Defence Liberman as just one piece of the larger peace plan the administration has been working on over the last year. Feeding reprehensible anti-Semitic myths and conspiracy theories in a speech on Monday, the Palestinian Authority president, Mahmoud Abbas, shed all credibility as a trustworthy partner if the Palestinians and Israelis ever again have the nerve to try negotiations. Speaking to the Palestinian legislative body, Mr. Abbas, 82, said the mass murder of European Jews in the Holocaust was the result of the victims’ financial activities, not their religious identity and anti-Semitism. The U.S.-led coalition signaled on Monday the end of major combat operations against Islamic State in Iraq by announcing the “deactivation” of its land forces command headquarters. Iraqi Prime Minister Haider al-Abadi declared victory over the Islamic State in December, five months after his forces recaptured the country’s second city Mosul in a protracted battle with the jihadist militants. The United States is asking its allies around the world to place more sanctions on Iran over its ballistic missile program, U.S. officials said Saturday as Secretary of State Mike Pompeo arrived in Saudi Arabia on the first leg of a three-country trip in the Middle East. “Iran’s ballistic missile program is an international threat to peace and security,” said a senior State Department official, speaking to reporters on condition of anonymity about talks Pompeo is having in Riyadh and will hold later this weekend in Israel and Jordan. U.S. Secretary of State Mike Pompeo called on Palestinian to return to the negotiating table with Israel, as he spoke in Jordan on Monday at the end of a whirlwind Middle East visit. “We believe that the Israelis and Palestinians need to have political engagement. We urge the Palestinians to return to that political dialogue,” Pompeo said during a joint press conference in Amman with Jordanian Foreign Minister Ayman Safadi. A silver lining is appearing on the horizon. As Israel celebrates its 70th year of independence, an increasing number of our Sunni and Mediterranean neighbors are not only reconciling themselves to our presence, but are actively projecting that they view us as part of the solution. This trend has not been heralded, of course, by the blast of trumpets and clash of cymbals; rather, it’s more like a quiet progression advanced by one incremental change after another. These changes deserve closer attention. As Saudi Arabia considers digging a moat along its border with Qatar and dumping nuclear waste nearby, Secretary of State Mike Pompeo arrived in Riyadh on his first overseas trip as the nation’s top diplomat with a simple message: Enough is enough. Patience with what is viewed in Washington as a petulant spat within the Gulf Cooperation Council has worn thin, and Mr. Pompeo told the Saudi Foreign Minister, Adel al-Jubeir, that the dispute needs to end, according to a senior State Department official who briefed reporters on the meetings but who was not authorized to be named. Iran has arrested a British-Iranian dual citizen who traveled to Tehran from London on an invitation to speak at an academic workshop, according to friends of his family and human-rights organizations. The arrest of Abbas Edalat, a professor of computer science and mathematics at Imperial College in London, comes at a time of particularly tense relations between Iran and the West over the fate of the nuclear deal. Forty Palestinians have been killed and 5,511 were wounded in the mass protests along the border fence between the Gaza Strip and Israel since March 30, the United Nations Office for the Coordination of Humanitarian Affairs reported on Tuesday. The protests have been held every Friday since then. The information on the casualties is broken down by date, nature of the injury, gender and age, as well as where the person was treated. It has been nearly a decade since Lebanese citizens last had the opportunity to go to the polls, with the current parliament having on three separate occasions unilaterally renewed its mandate for reasons ranging from security risks caused by the war in neighboring Syria to the inability to agree on electoral reform. But following an agreement last summer to replace a plurality voting system with proportional representation, elections finally will be held on May 6. President Trump on Wednesday warned that missiles “will be coming” toward Syria in response to a suspected chemical attack and taunted Russia for vowing to shoot down any incoming strikes. “Get ready Russia, because they will be coming, nice and new and ‘smart!’” the president wrote on Twitter, referring to missile strikes. He also condemned Russia’s backing of the regime of Syrian President Bashar al-Assad. “You shouldn’t be partners with a Gas Killing Animal who kills his people and enjoys it!” Trump wrote. Earlier this week, Trump said his administration was working on a response to the suspected chemical attack on Saturday, including military options. In a telephone call this month with Saudi Arabia’s King Salman, President Donald Trump demanded that the kingdom and its Arab partners quickly end a nearly year-old dispute with Qatar that has left U.S. allies in the region fractured, according to two U.S. officials briefed on the conversation. Trump wants the rift healed to restore unity among Arab Gulf states and present a united front against Iran, said the officials, who requested anonymity to discuss high-level diplomatic communications. Trump’s tone in the April 2 call with Salman was described by one official as “forceful.” It was not clear what the king’s response was. Saudi Arabia could consider a proposal to dig a maritime canal along the kingdom’s border with Qatar, turning the peninsula-nation into an island and transforming its only land border into a military zone and nuclear waste site, state-linked Saudi newspapers reported Monday. The project has not been given official approval and faces many obstacles. Still, the proposal signals a new low in the 10-month-old feud between Qatar and a quartet of nations that includes Saudi Arabia, the United Arab Emirates, Egypt and Bahrain. The U.N.’s new Yemen envoy says all sides desire a political solution. But Resolution 2216, which demands Houthi rebels disarm and withdraw, is being invoked to create an ‘impossible precondition’ for talks. … Analysts say the conflict has now evolved beyond that resolution, which explicitly requires that the Iran-backed Houthis give up their weapons and leave cities. Dozens of Syrians choked to death after a suspected chemical attack struck the rebel-held suburb of Douma, east of Damascus, with aid groups on Sunday blaming President Bashar al-Assad’s government for the assault and Western governments expressing outrage. Rescue workers in Syria reported finding at least 42 people dead in their homes from apparent suffocation, and antigovernment activists circulated videos of lifeless men, women and children sprawled out on floors and in stairwells, many with white foam coming from their mouths and nostrils. Saudi Arabia’s Crown Prince Mohammed bin Salman arrived in Paris on Sunday at the start of a European tour after three weeks in the United States, where he pitched for investments and support against arch-rival Iran. France’s foreign minister, Jean-Yves Le Drian, who worked closely with Prince Mohammed as defence minister in the previous French government, greeted him at the airport, the Saudi foreign ministry said on Twitter. Saudi officials said separately that Prince Mohammed, who serves as defence minister and also controls economic and energy policy for the world’s top oil exporter, would head to Spain later in the week. Caving in to Erdogan would be easy. But Trump must demand more. The big story in Israel this month concerns police decision to indict PM Netanyahu. For more than a year, the police have gathered evidence against the PM, aiming to consolidate a strong body of proof in the various affairs in which he is involved. Netanyahu dismissed all those investigations by his repeated mantra: “There was nothing, there is nothing, there will be nothing”. Netanyahu repeated the mantra also on February 13, 2018, immediately after the police announced its decision. Well, the police think there is something in two separate affairs. In both the prime minister is charged for committing crimes of “bribery, fraud, and breach of trust”. One (Case 1000) concerns gifts that the PM and his wife Sarah received from two international billionaires, the mega producer and media magnate Arnon Milchan and the Australian businessman James Packer. Both of them saw it to themselves to care for the Netanyahu’s lavish life style which the PM salary cannot pay easily. Mr Netanyahu likes expensive cigars. Ms Netanyahu loves pink champagne and jewellery. The police said Netanyahu had accepted gifts valued at 750,000 shekels (£150,000, $208,300) from Hollywood man Milchan, and 250,000 shekels (or £51,000, $70,822) from Packer. In return, Netanyahu had helped Milchan with US visa matters and Israeli tax breaks. The second case, known as Case 2000, relates to a secret deal between Netanyahu and the proprietor of a leading Israeli newspaper Yedioth Ahronoth Noni Mozes in which Netanyahu allegedly requested positive coverage in exchange for damaging Yedioth competitor, the freesheet Israel Hayom. The police statement said: “What was discussed was the assistance of Mr. Mozes to Netanyahu in establishing his stature as Prime Minister through positive coverage in Yedioth Ahronoth that, in return for the Prime Minister assisting Mr. Mozes in advancing economic interests of Yedioth Ahronoth by an initiative to block the strengthening of Israel Hayom“. Netanyahu established Israel Hayom with the help of his good friend, another American billionaire, Sheldon Gary Adelson, the most influential behind-the-scene person in Israeli politics, to undermine Yedioth Ahronoth after Mozes refused to serve as a mouthpiece for Netanyahu and even dared to criticize him from time to time. Tired of all the fighting that reduced the circulation of Yedioth and risked Mozes’s wealth, the Yedioth proprietor tried to strike a deal with the PM: You help me to return to my glory days as Israel’s No. 1 newspaper; I will provide you with a favourable coverage that will help you remain in office until the day you, Mr. Netanyahu, decide to retire. Police said both Milchan and Mozes could be charged with bribery. With the death of Moshe, the world is poorer. Sounds grand. I know. Grand but still true. I am not saying this about any loss. I say it about dear Moshe. A tower of goodness, of dignity and of integrity, of truth and of courage, of kindness and of virtue. A model to follow. One of Israel´s best citizens. A wonderful husband and father. A kind and good friend. As a student at Tel Aviv University, doing my first steps as a student of Israeli democracy, freedom of speech and freedom of the press, I read and reread Moshe´s books. I read his columns in the newspapers, and listened to his radio talk show which is a model of democratic broadcasting. When I returned to Israel from Oxford in 1991 and started to work at The Van Leer Jerusalem Institute I met Moshe and a strong bond began to form. We shared the same worldview, same concerns and worries, same hopes for the future of Israel. Moshe and I could talk for hours. Politics. Media. Free speech. Democracy. Culture. Families. The justice system. We talked nonstop until it was time for us to move to other duties. Moshe invited me to take part in his radio show and I accepted his invitations whenever I could. I was honoured to participate in what I perceived the best talk show on Israeli radio. By far, Din U´Dvarim was THE iconic talk show on Israeli affairs. Moshe cared about everything. He was an inherently good man, a mensch. An avid reader he had encyclopaedic knowledge of Israeli law and media. He was always honest, true to himself and to others, a bastion of justice, often an island to himself, a lighthouse in depressing darkness. Moshe was totally incorruptible. He continued to raise his clear voice also when he knew that people will not forgive him for saying the truth in their faces. Moshe was for justice for all, notwithstanding one´s race, religion, nationalism, gender, sexual preference, or any other irrelevant factor. Moshe cared about people qua people. Moshe was a social-democrat, a human rights activist, a feminist, a liberal, and a humanist. Moshe was a pure soul. He continued to believe in the goodness of others when there was little to cling on for evidence. He remained hopeful when darkness loomed. He continued to fight for justice for all until his last day. Moshe fought for Israeli democracy, for freedom of speech and of the press, for freedom of religion and from religion, for minorities and refugees, for guest workers and prostitutes, for gay people and trans genders, for the Supreme Court and for just law. Moshe was always there to fight for the weak, to give a voice to the voiceless, to shine and speak the undefeatable truth when everyone else choose silence. Moshe paid a price for his bravery. Many did not like his firm stance for justice. When they failed to corrupt him, they tried to silence him and to push him aside. They had some success but Moshe continued to speak his mind in his quiet, direct and wise voice. Moshe was a model to follow. Moshe started to work in the broadcasting Authority in 1969. He also wrote for various newspapers, and taught at the Hebrew University and other departments of communication. He worked hard in several places to enable good living for his wife Irit and their three children. Moshe was modest, honest, brave, direct, kind, caring and loving. He was a true professional and a person of great integrity. This is why I feel that we are all impoverished to continue living without his wise and enlightened presence. I lost a friend. Israel lost his foremost knight for justice. Who will take his place? Dear Moshe. Your memory and legacy will live with me forever. I love you dearly. Moshe cared about everything. He was an inherently good man, a mensch.